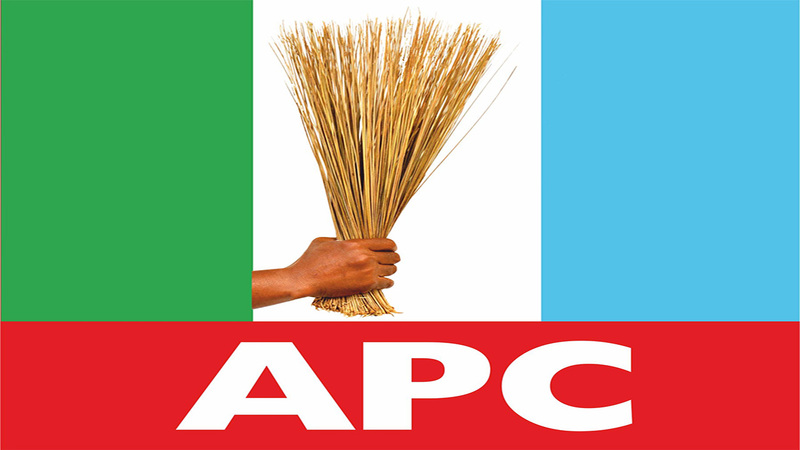 Newly-inaugurated chairman of the Taraba State All Progressives Congress (APC), Barr. Ibrahim Tukur El-Sudi, has called on the Aisha Alhassan-led faction to join hands with the new party executive to build the party in the state and prepare for victory ahead of the forthcoming general elections. El-Sudi made the call, on Tuesday, in an interview with journalists in Jalingo. He said that the party has enormous potentials in the state and is poised to take over power come 2019 so as to offer true democratic leadership for the people. At the party’s state congress held, in June, two state executives emerged from the parallel congresses that were held in the state with the group loyal to the Minister of Women Affairs, Sen. Aisha Alhassan producing Alhaji Abdulmumini Vakki as the Chairman, while Barr. Ibrahim El-Sudi emerged as the chairman for the unity group led by Sen. Yusuf A. Yusus. National Chairman of the APC, Mr. Adams Oshiomhole had, on Monday, inaugurated El-Sudi as the state Chairman of the party, thereby overriding the decision of his predecessor in office, Mr. John Oyegun, who had earlier inaugurated Alhaji Abdulmumini Vakki as the party chairman. El-Sudi said that the state Executive is looking beyond any individual interests to work for the victory of the party in the state and would therefore provide a level-playing field for all the candidates aspiring for elective positions under the platform of the party in the forthcoming general elections. “Let me use this opportunity to call on the Alhassan group to join hands so that we would build this party ahead of next year’s general elections. “The people of Taraba deserve better Democratic dividends and we are determined to take over power in 2019 to provide this much needed quality leadership. “It is therefore important that we all unite and work for the success of the party rather than our personal interests. “Let me assure you that we would explore all avenue for meaningful engagement with the group to make sure that they have that true sense of belonging to assure them that they are part of the party and have the same opportunities as any other person in the party”. While reacting to the development, the spokesman of the party, Mr. Aaron Artimas, said that “The decision of the national chairman of the party to correct the anomaly of his predecessor and inaugurate the chairman truly chosen by the generality of the party faithful has now boosted the fortunes of the party in the state”. Artimas insisted that the people of the state were fed up with the current leadership in the state and that the APC was determined to provide a more meaningful leadership in 2019 by fielding a “people-oriented and grassroots politician who understands the people and the state enough to provide solutions that would address the development need of the people rather than conduit pipes for siphoning resources”. Efforts to reach the ousted chairman and Sen. Alhassan were futile as none of them picked their calls. However, a member of the group, who pleaded anonymity, hinted that they would rather move to another political party than work under the current leadership in the state.